SiteGround StartUp Hosting Review 2019 - GET 60% OFF TODAY! When I switched over to SiteGround I decided to buy the StartUp plan and it was really good! Later I upgraded to the GrowBig plan and it’s better bang for your buck, and costs just 2$ more per month and you get 2X the server resources which really speeds up your site, 30 daily backups and you can host unlimited websites! If you are planning on blogging seriously I would recommend spending the extra 2$ and invest in the GrowBig plan. That’s the plan I currently use! That’s why my site loads so fast and I come so high in Google Search results, as speed is a factor in SEO. Before I talk and review every specific detail of SiteGround’s Hosting, I want to share a personal experience with SiteGround. The main things about SiteGround that attracted me personally, were the speed, free SSL, the uptime and the amazing support. 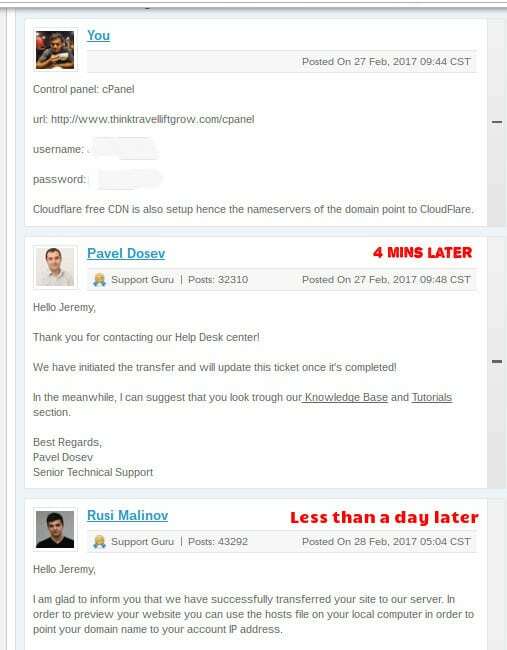 After buying the hosting package at the end of February, I contacted the support, messaged them my login details and in just a single day, without any downtime, they migrated my site over for free. I could instantly notice that my site was much faster. 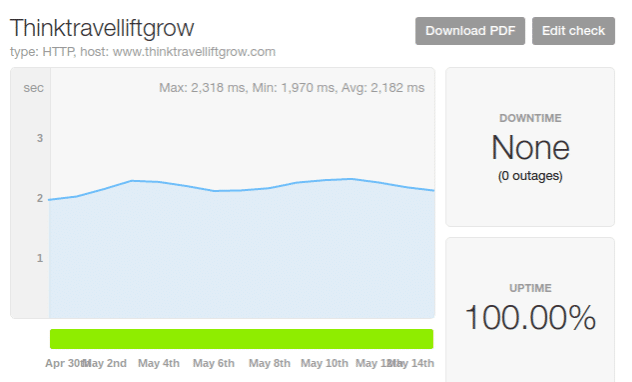 My site now has a load of <1s in Pingdom. It also hasn’t been down since! (as of June 26th). The biggest issue I had with my previous host was that my site used to go down at times and also it took forever to get a reply back from support! With SiteGround, I rarely wait more than 5 mins as can be seen from the above picture. Also, they’ve got some of the nicest people on the customer support team! and Drupal’s official hosting pages. 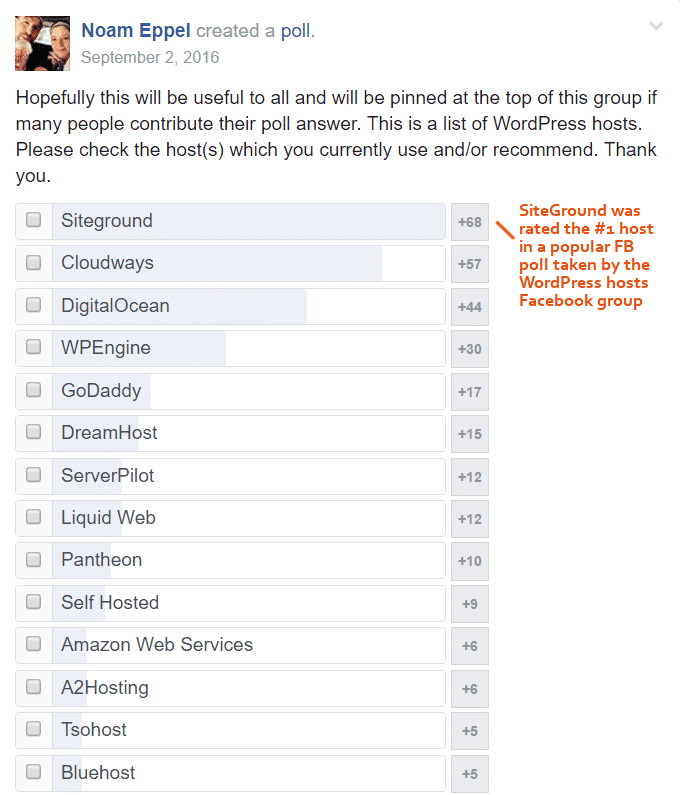 It is also the #1 rated host in this Facebook poll that was taken in a group on Facebook that mainly consists of WordPress Developers. You might need to join the group to see the pool so check out the screenshot below. There are 3 different choices when it comes to picking a shared hosting plan. StartUp, GrowBig, and GoGeek. The major difference is that StartUp can only host one website, while the other plans allow unlimited sites. 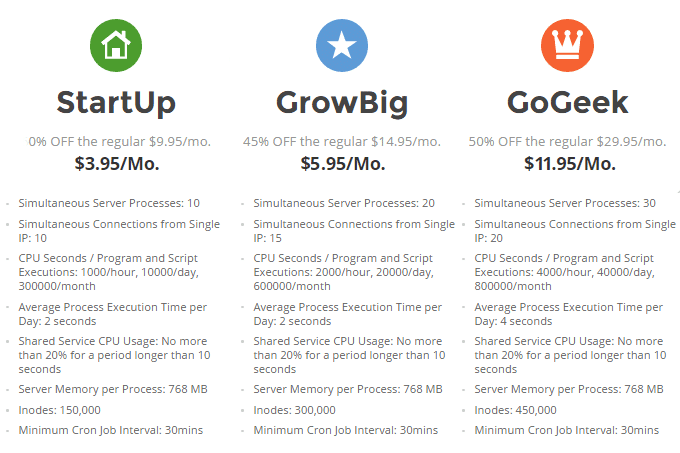 GrowBig includes more servers resources (faster site, yay! ), even better and faster support (what!??) and 30 daily backups (instead of 1 with the StartUp plan). GoGeek, as the name suggests, is for developers and for much bigger sites and comes with even more server resources to handle the higher traffic! Here’s the comparison chart comparing all the features of the different types of hosting! StartUp – Cheapest plan at only $3.95/ month, it is sufficient to host a single website with very little traffic. It’s better than any other hosting plan at $3.95/ month available but lacks the additional server resources, high storage, priority support and the amazing backup tool you get with the other plans (though you do get a free daily backup). In my own experience of this plan, I’ve gotten 99% uptime and absolutely no internal server or other hosting errors. Free SSL from Let’s Encrypt! GrowBig – At $5.95 a month, the GrowBig plan is the most popular one, and for good reason; it’s the best bang for your buck for anyone starting in the online business industry. It allows you to host multiple websites, has nearly 2x the server resources as compared to StartUp, Double the storage space, priority support, staging and includes 30 daily backups and the backup restoration tool. There’s advanced caching if you use the SG CachePress plugin, but as I mentioned earlier I prefer using WP Rocket. Best bang for the buck for someone with multiple websites like me! GoGeek – Consider Semi-dedicated, GoGeek is about 4x faster than normal shared hosting! At a fraction of the cost of a dedicated server at $11.95 a month. It’s perfect for people who have large sites but don’t want to spend the $75+/month for cloud hosting. It includes everything in the GrowBig plan along with staging (for testing websites before launching), unlimited restores by SiteGround’s support team, and essential e-Commerce features like 1-year free Wildcard SSL and PCI compliance for credit card fraud protection. Other features are listed below. Siteground’s Startup doesn’t have as much server resources as compared to the higher plans, this plays a big role when it comes to the speed of your site! GrowBig are much faster than StartUp since you get more server resources. You are starting out with your first and only website! You don’t have a large audience ie Less than 10,000 visits a month! You don’t need more than 10GB of space! You want a host with great support and customer relations! You want free SSL from Let’s Encrypt! You want great uptime and amazing speed technology! You want to migrate your site over for free! Speed is very important to me, very important! I always try and make sure that my blog is as fast as possible and having a good host is crucial in that equation. StartUp is much faster than any other hosting provider at that price however if you cough up the extra 2$ a month and try out the GrowBig plan you get so much more server resources. SiteGround’s speed technology is one of the biggest reasons I chose them. They use the latest NGINX servers, solid states drives (SSDs), PHP7, Cloudflare, and HTTP/2 enabled servers. In simple terms, it’s got the best tech for your site; hardware, and software wise! 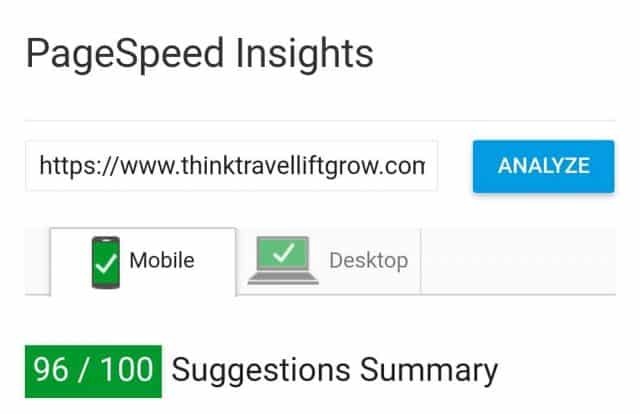 As you can see from the picture above, this site now loads in <1s in Pingdom and from the image below the Google PageSpeed Insight score of this site is above 90 out of 100, while most blogs in my niche are usually below 70. That’s what achievable with the extra server resources of GrowBig. Why is speed so important to me? Well, there’s nothing I hate more than visiting a site that takes forever to load. I believe that time is the currency of life and I respect the time of each of my readers so I make sure that my site loads in a snap(literally). Also, many of my articles come on the first page of Google for many queries. Like my article on how I make money traveling comes on the first page of Google for Best Travel Backpack 2019. Now that’s due to a ton of factors; Speed is one of them. Google likes fast sites. The biggest issue I had with my previous host was that almost every month I used to get an email saying that my server is down, however ever since I switched over to SiteGround, that hasn’t been a worry. SiteGround has amazing uptime technology, from Linux containers, proactive server monitoring, secure account isolation, and other things I can’t even understand. Doesn’t matter.. it works! Many WordPress hosts promise 99.99% but fail to deliver unlike SiteGround as you can see from the picture below. The one thing most SiteGround users rave about is their customer support, and looks like I’m going to be just another one! 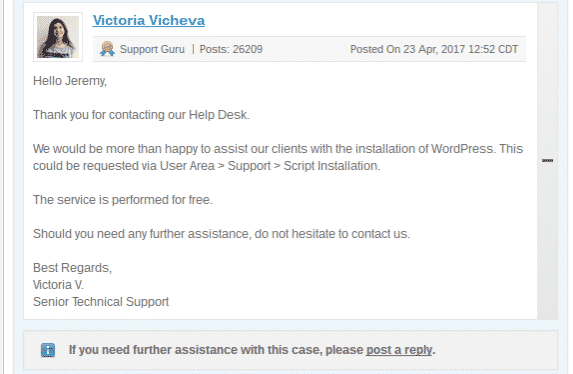 SiteGround has some of the best customer support I’ve ever come across. United Airlines could learn a thing or two from these guys!? As seen from the above picture, SiteGround is super quick to answer any tickets raised! It’s the fastest in the industry! 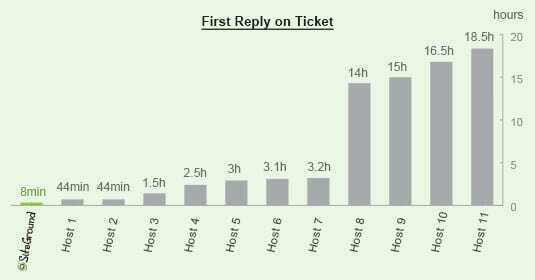 Their average reply time is 8mins, however, it’s rarely even that long as shown below. If you’re currently hosted somewhere else, SiteGround will migrate you for free as they did for me. 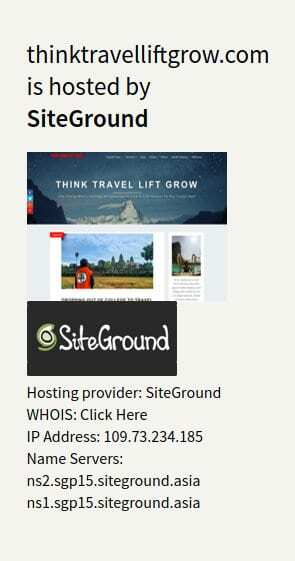 Also as I mentioned in my guide of How To Start A Blog And Make Money if you buy hosting from SiteGround; they will do half of the work for you FOR FREE of setting up the blog and will install and set up WordPress for you! 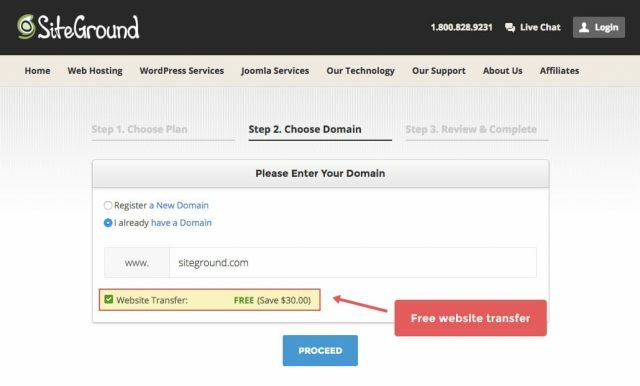 SiteGround will migrate you for free if you’re currently hosted somewhere else. They did this for me as I shared at the start of this article, in less than a day and without any downtime! SiteGround’s technicians are absolutely amazing and have my full confidence. Conclusion: SiteGround rocks! I’m honestly so glad that I can say that about my host, especially in an industry that plagued with downtime and bad service, these guys are doing it right and hence I can wholeheartedly recommend them. I hope you found my SiteGround StartUp Review helpful! If you have any questions feel free to ask me anything in the comments. I really do love SiteGround which is why I took the time to write such a long review! Hey Jeremy, great article on siteground hosting and I’m seriously considering using it for my Canada client. Why only 4 stars and not 5? Hey Dominic! Glad you liked it! 2 reasons I actually gave it 4 instead 5 stars. 1) The 4* is for the Startup plan, I give 5* for the Grow Big plan as it’s much better value for the money. 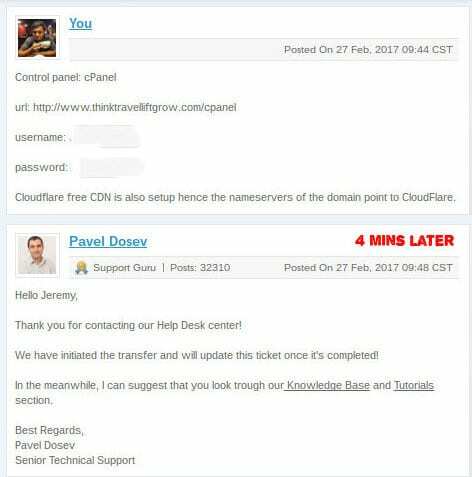 2) The hosting isn’t the best the developers who run CRON jobs, for everyone else it’s honestly the best-shared hosting! Hi jeremy ! Does it matter where i buy my domain name from ? and What is the renewal cost of site ground starter pack ?